Oasis Palm Tourism is one of the most trusted names in the list of tour operators of Dubai, as they are the pioneers in offering such services. It is because of their excellent services that they are well-liked by several people and they prefer to hire them whenever they visit Dubai. Osais Palm Tourism also feels pride in taking great care of their customers, therefore aside from offering best deals at best rates, they also arrange pick and drop services for their clients. In brief, Oasis’s sympathetic human touch will give the visitors a true Arabian taste that is difficult to find with other tour operators in this city. Their office can be found in the Deira district of Dubai, from where people can gain information regarding various tours. Oasis Palm Tourism is a primary tour operator in Dubai that offers wide ranging services such as east coast tour, desert safari, shopping tour, dhow cruise tour, luxury yacht cruises, dinner on cruise and deep sea fishing. To facilitate their clientele Oasis Palm Tourism has land cruisers, hummers and buses in decent numbers which are used for different tours. In addition to this, luxury yacht is also obtainable through this tour operator. They also have collaborations with various top hotels in Dubai, where Oasis accommodate their customers during their tour. In addition to this, pick and drop service from airport to hotel and hotel to airport also proffered to the clients by this reputable tour operator. 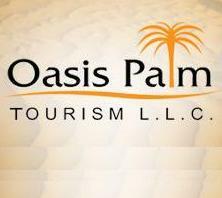 To know the exact opening hours of Oasis Palm Tourism office, contact its management on the aforementioned number. Office # 404, 4th Floor, Royal Plaza Building, Al Riqqa Road, Deira, Dubai, United Arab Emirates. Al Rigga Metro Station 1 is 2 minutes walking journey from Oasis Palm Tourism office in Deira, Dubai, as the gap between these two sites is no more than 190 meters. 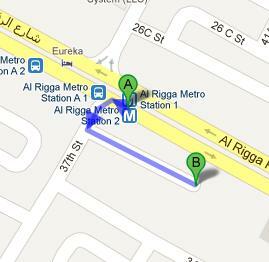 So it is not difficult for a commuter of Al Rigga Metro Station 1 to bridge this gap on foot by heading in the northwest direction on Al Rigga Road towards 37th Street, from where pedestrian should turn left onto 37th Street and later make another left turn to finally get to the destination. Al Rigga Metro Station A 1 - Dubai bus stop is 210 meters away from Oasis Palm Tourism office that makes it just 3 minutes walking journey, if a bus user arrives at this station by bus number C9 and then head southeast on Al Rigga Road towards 37th Street, then turn right onto 37th Street, before making a left turn to ultimately get to the destination. View map for directions.